At first glance, what do you see? 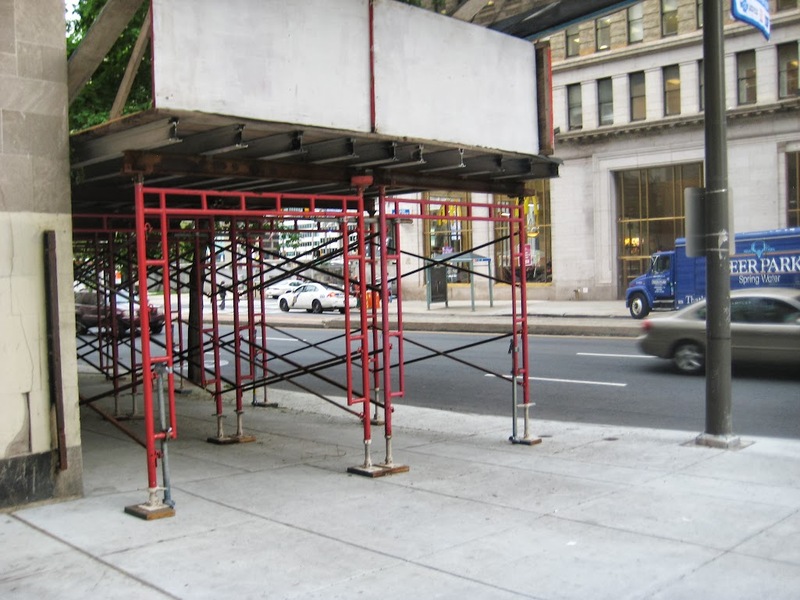 A double-wide canopy spanning the entire sidewalk? If you did – you would be correct but there is more to it than meets the eye. 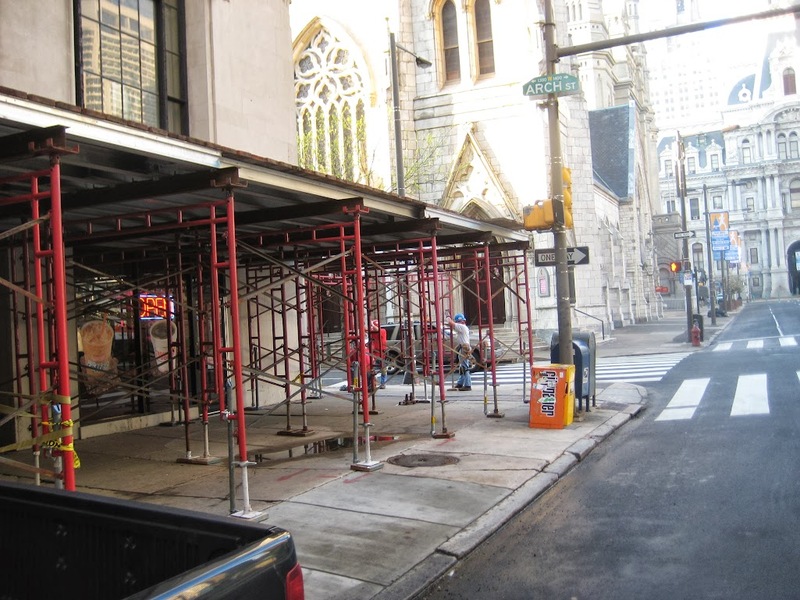 You don’t think we would just toss up a double wide sidewalk shed using our famous 767-00 “Philly” frames would you? Of course not. 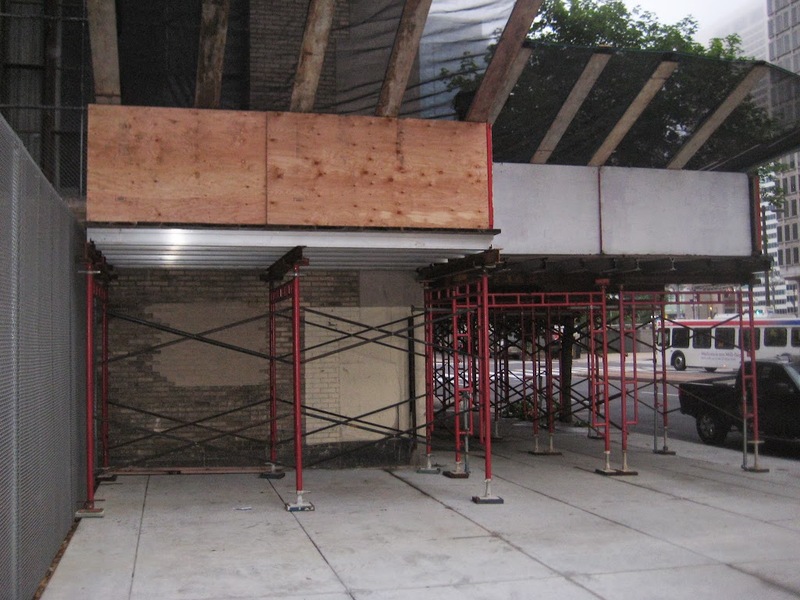 What you have to remember is that this a large span we have to cover so the facade resoration can go on overhead. And there are certain regulations that are mandated by our state as to the amount of weight this canonpy must support. 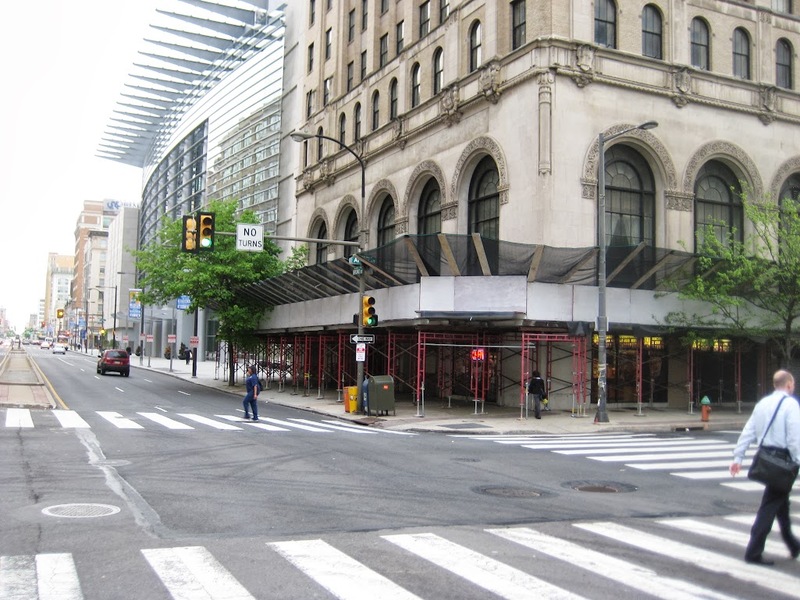 In Philadelphia it’s 300lb psf. My first thought was; why didn’t they use a system scaffold to bridge the gap? I understand that there would have to be two foot towers to support the beams and that would be a bit of cluster (you know what). But I’m no engineer. 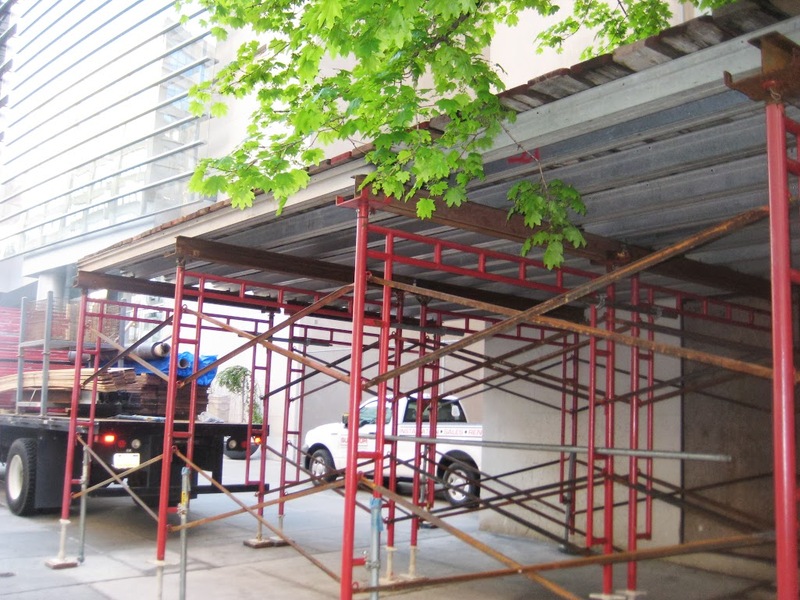 So then I thought, why don’t I just ask Superior Scaffold top engineer, Mike Leone? After all, he’s the man who has to design all these scaffold projects to meet code. I’ll let him tell you in his own inimitable way. So there you have it. Not only is up to code but can also be faster to erect. I noticed another feature of this type of set up as well. It could help with the pedestrian traffic flow. It creates an isle-like walkway where traffic can flow easily in both directions just like on a highway. And I just love to see the photos of how they erect these projects. Take a look. They also painted the wood panels to help match the decor of the building. That’s another little added touch that Superior offers. Very cool. 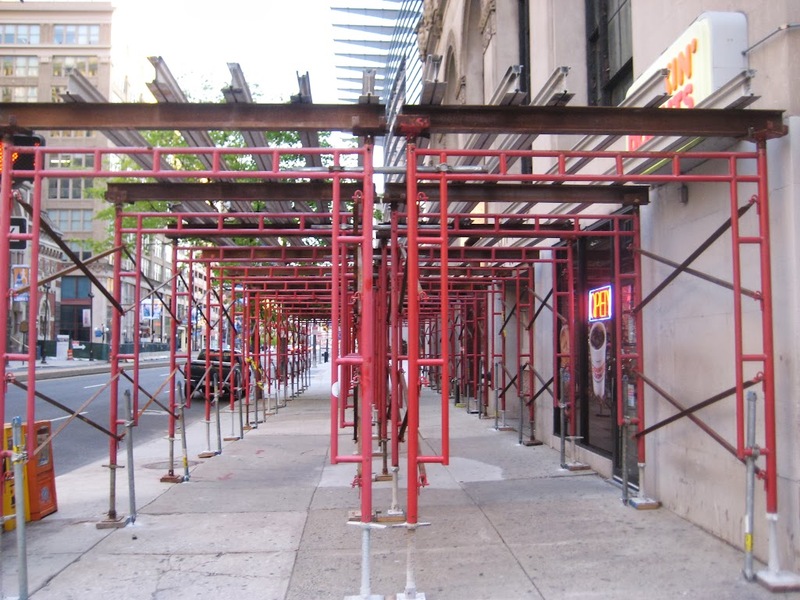 We at Superior are always spanning the globe for unique scaffolding solutions to bring you. That reminds me… Cue the music. 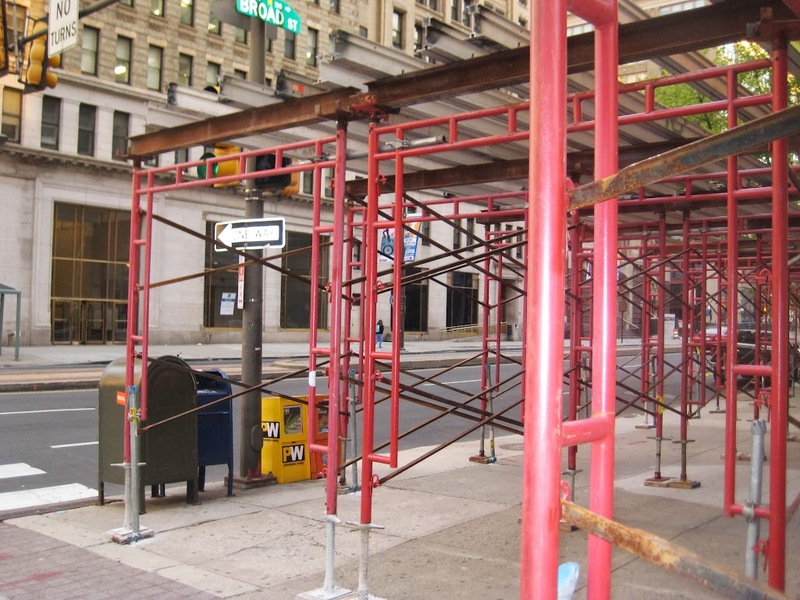 “Spanning the globe to bring you the constant variety of scaffold… the thrill of erection… and the agony of having to take it down… This is Philly’s Wide World of Scaffold! Sorry, it just brought me back there for a minute. 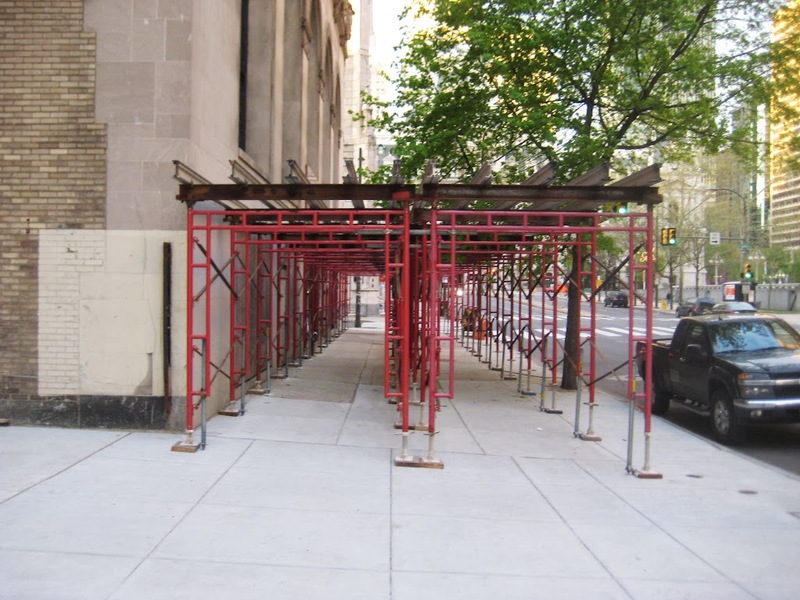 If you have a large sidewalk or area that needs overhead protection (canopy, sidewalk shed) call Superior Scaffold at (215) 743-2200 or hit the website at www.superiorscaffold.com today. 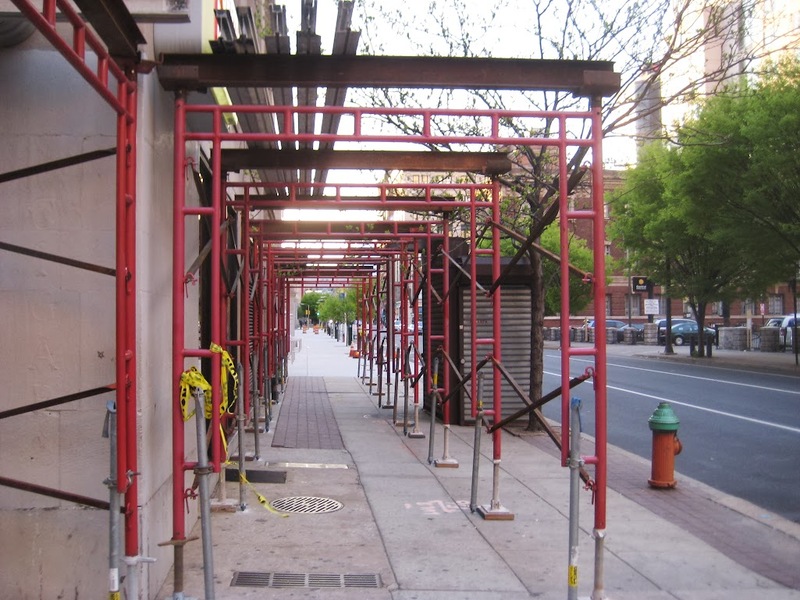 Posted on March 6, 2014, in Frame, Rentals and tagged 215 743-2200, building materials, construction, DE, equipment rental, General contractor, inspection, ladders, leasing, masonry, MD, NJ, NY, phila, rent, Rental, renting, rents, scaffling, scaffold, scaffold PA, scaffolding, scaffolding philadelphia, scaffolding rentals, scafolding, superior scaffold. Bookmark the permalink. Leave a comment.